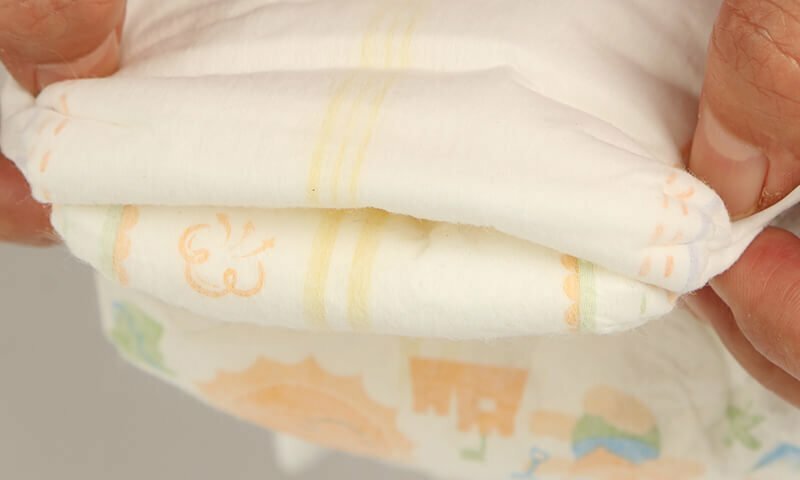 One of the most well-known products that are in the top-rate of all daily used products is a diaper. What do you know about it? How does a diaper work from the technological view and is it safe? A disposable diaper is a multi-layer product with an absorbent layer usually made of wood fiber materials. It’s a kind of underwear that was designed to absorb urine and prevent the contamination of outer clothing. The usefulness of a diaper cannot be underestimated as it’s a great helper for mums, elderly people etc. The usual shape of the diaper meets the anatomical sizes of the bottom of the body of the child’s or adult’s torso. The diapers produced by Sunkisscare Co., Ltd are designed in a different waist sizes, which makes them suitable for any shape of body. This feature makes a diaper comfortable in usage and it gives maximum freedom in movements. It’s important to mention that our production has the next certificates – ISO9001, ISO14001, FDA Registration in USA, BRC Certificate Global Standard Consumer Products, which guarantees you a quality and a high percentage of product safety. It’s definitely important to highlight the fact that our major advantage over the competitors is the absence of toxic components in diapers. The diaper is made up of several layers. Generally, the amount of layers is determined by a manufacturer, but the usual structure of the napkin is simple. The Sunkisscare Co., Ltd is proud of high-quality equipment from Japan and Italy, which helps to produce only the innovative diapers for children and adults. The main goal of the company is to meet the high standards in the production of diapers. 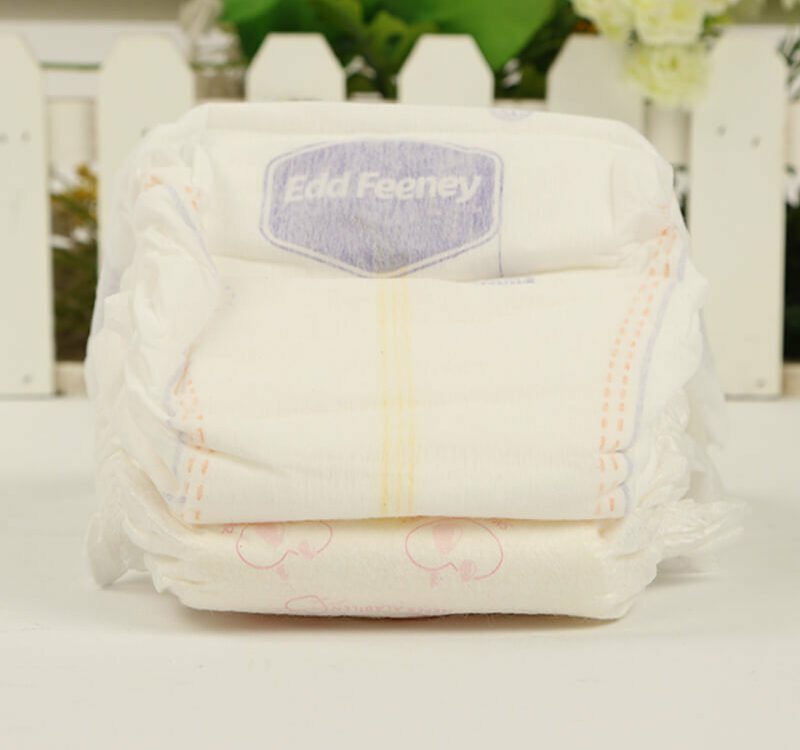 Each diaper in package is made out of the best materials, provided by reliable partners. Thus, the products significantly differ from the ordinary diapers that are available in the mass market. This statement can be easily confirmed by the composition of the baby diapers, which include: 1. Ventilate print membrane. This feature ensures the thermal comfort of your baby, which reduces the risk of any allergic reaction or chafing on a skin. 2. SMS water-proof nonwoven. This is the unique innovative feature developed by scientists with the aim to create a tool that can monitor the fullness of a diaper, transmitting alerts via SMS function. This tool is useful in prevention of infections and rashes, which can result from insufficient change of a napkin. 3. Hydrophilic nonwoven. Designed with the aim to minimize the migration of moisture to the other areas of a diaper.4. Bottom layer compounding nonwoven and Breathable Compounding paper. 5. Velcro tapes hook. Ensures good stability and it won’t be out of shape because of repeatable tapping off. 6. Left and right water-proof nonwoven loop and left and right wavelike loop. The stable maintaining of a fastening strength of the loop sheet to the hook ensures a comfortable time for baby while wearing a diaper. Also, due to this feature the stable fastening is assured even in the case of re-fastening. 7. Wetness indicator. Shows up when the diaper is wet. 8. Spandex yarn is located on the leg cuff of a diaper and it ensures comfortability in wearing. 9. Hot melt adhesive of a normal temperature: provides high cohesion and adhesion. 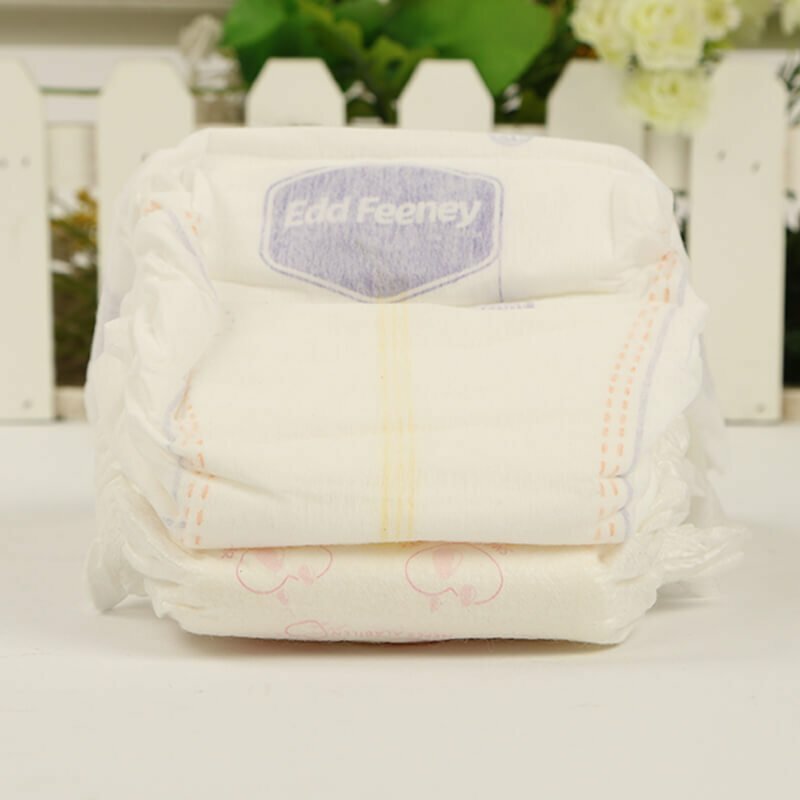 Talking about the materials used for adults diapers, it’s worth noting that all of them are made of cotton soft non-woven fabrics, breathable absorbent paper and include a PE Leak-proof membrane. In general, the construction of a diaper is simple. The top coating layer of the diaper is always in the direct contact with the skin. Next goes the distribution layer, which is responsible for the uniform distribution of liquid inside the diaper. The third layer is an absorbent layer – it’s a core absorbent part of the napkin that retains liquid inside the diaper. The absorbent layer of the disposable diaper produced by Sunkisscare Co., Ltd contains polymer water – absorbing resin from Sumitomo and NISSHOKU. This material is made from a nontoxic and safe polymer, which helps to absorb moisture away from the skin. The quality of the “absorbency” of a disposable diaper highly depends on the ratio of this component in it. Logically, the amount of the absorbent material determines the quality of its absorbency. A protective layer goes next and its main function to prevent the penetration of outside fluid. The last – is the lower coating layer. There is no doubt that it’s hard to find a high-quality product considering the situation on nowadays market. Some people choose a low-quality product because of their cheap price; however, they forget that their health is priceless. Considering situation on the hygiene market, each customer has to keep in mind that a range of different toxic substances and materials is used in the manufacture of disposable diapers. The materials include: the bleaches which are used to make the diapers look crisp white; lotion mitigation; sweet smelling perfume. Some disposable diapers have elastic bands around the legs, which are covered with polypropylene – a type of plastic from which the plastic containers and bottles are maid – the material is waterproof. The bulk of disposable diapers contain flavorings. They are added between the core and the inner layer, to mask the “natural odors.” This is a different kind of synthetic material made from petroleum derivatives. The manufacture of disposable diapers is a high-tech field which has systematically shown novelty in the last years. Buying high-quality certified diapers you make a choice in favor of health and prosperity. Sunkisscare Co., Ltd works hard in order to be your number one choice.